Successfully Added Bathroom Air Purifier - Deodorizer and Ionizer to your Shopping Cart. Bathroom air purifier and deodorizer for keeping your bathroom in top condition. Designed to sterilize the air in the bathroom/toilet/shower area with negative-ions and ozone, this unit helps to eliminate odors and preserve the fresh air. How? Through strong oxidization of the air in the bathroom, it reduces the growth environment necessary for bacteria and molds, thereby making the air cleaner and fresher. Having a built-in micro CPU, the unit intelligently runs on an operation cycle of 2-min ON and 30-min OFF, which is all that is necessary to significantly reduce the bacteria and molds that cause the smelly and unhealthy air in the bathroom/shower/toilet area. A perfect addition to every home and also a very useful gift. Buy your stock today at a great price from your favorite wholesaler - Chinavasion. 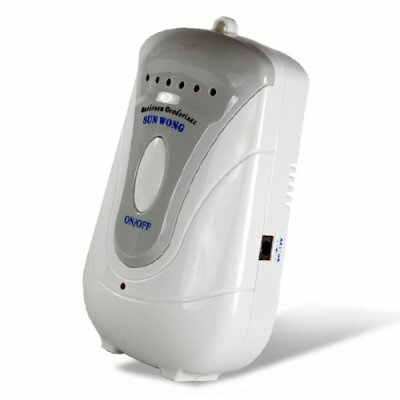 Restroom air purifier and deodorizer for keeping your restroom in top condition. Simple operation and easy maintenance with no costly filter to replace.